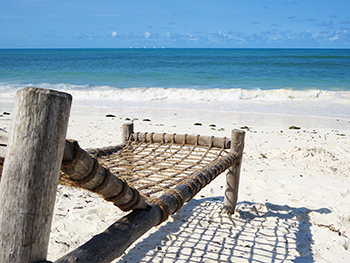 10 days of pure joy on Zanzibar’s beautiful paradise beaches. White sand, palm trees and turquoise sea. Luke warm evening breezes evening and sweet ripe exotic fruit in endless variations. exotic fruit. Barefoot bars and sea treasures. 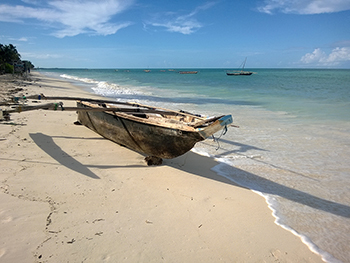 We stay in Jambiani on the southeast coast and end with two days in the mysterious, soulful Stone Town. 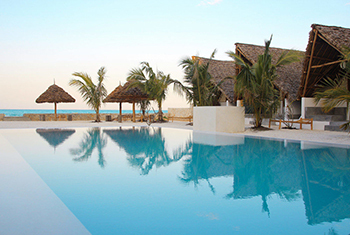 Jambiani – where the exotic beach meets village life in an authentic, beautiful and friendly atmosphere. On the beach we can walk barefoot and discover cozy bars and restaurants hidden among the palms. The wonderful warm turquoise water is right at our feet. When the tide goes out, rivers form between the sandbanks where we can soak up the feeling of paradise for hours. 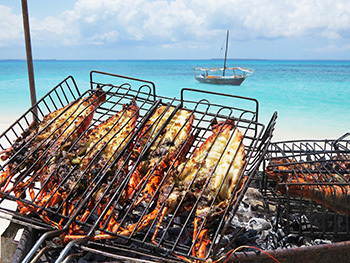 Kholle House in Stone Town is an experience in itself, as well as the roof top dinner at Emerson on Hurumzi. 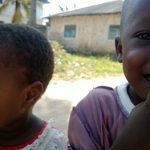 The village of Jambiani has a relaxed traditional African lifestyle mixed with Zanzibar culture, colorful and filled with laughter. Men are playing bao, women embroiders hats and the children play on the beach. 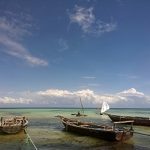 We have cherry picked the Stone Town cake and collected the most soulful impressions of this unique UNESCO World Heritage site where winds of history’s pass in the narrow alleys. 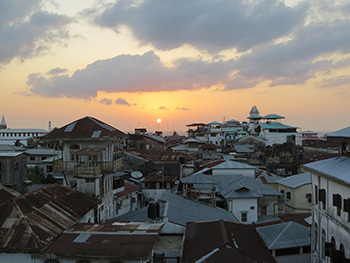 A unique dinner at the best roof terrace with 270 degrees sea views, Stone Town behind the scenes and the diamond Kholle House-filled with antiques from India, Oman, and Zanzibar trade routes. Transfer from airport to Nur Beach Hotel in Jambiani. Our local representative meet up. 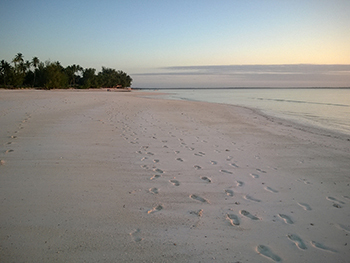 We are on Zanzibar- the magic Spice Island. 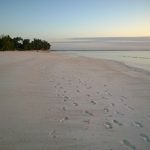 Today we are lazy and recover from the trip and enjoy the white sand, the palms and the sea. On the beach there are plenty of small cozy beach bars to have lunch and dinner on. 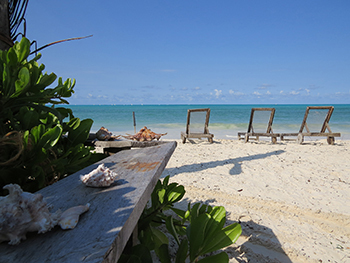 Today we enjoy the turquoise ocean and the warm breezes. In Jambiani there are lots of mall cozy bars and restaurants to visit. 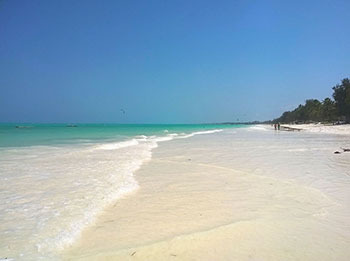 Sun, sea and sand on palm fringed white sanded beaches in Jambiani. If we get bored we can walk to Paje and look a the Kite Surfers. After a nice day at the beach we head in the afternoon up to the northern tip- Michamvi. Here we enjoy the silence and an unspoiled long beach. 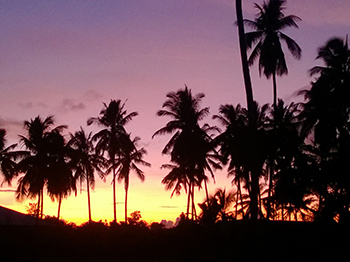 Enjoy the view and sunset over Chwaka Bay at one of the local beach bars. Dinner proposes to be eaten at Sagando Hostel – simple but good and with a beach fire. Today we enjoy the Indian Ocean, the sun and the hotel. Why not take a walk out to the stunningly clear river that runs between the sandbanks at low tide? Time to experience something new. 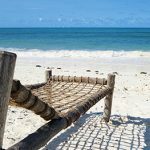 Transfer to Stone Town and check in at Kholle House, a personal boutique hotel filled with antiques from the spice route to Zanzibar. Relaxed, á la carte breakfast and beautiful filigree balconies. And a wonderful little courtyard in the heart of Stone Town. 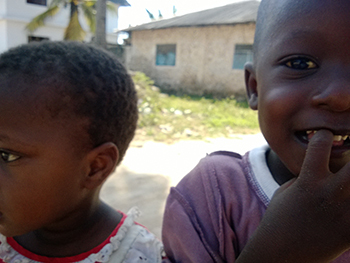 Guided tour: The life in Stone Town. 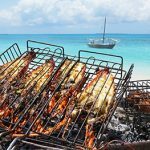 This trip shows life beyond the tourism scene as life that lives in Stone Town is active and exciting. The inhabitants live their lives in the alleys and cook, play the traditional board game, feed their chickens or just hang out on the stone benches. 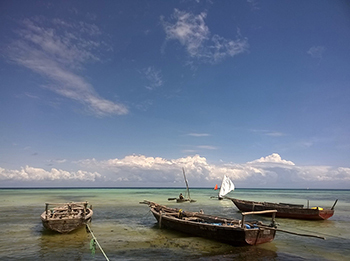 The guide will show you where Zanzibaris buys their spices and fabrics and other products to take home. Today time to explore Stone Town on our own. 18.00 Dinner on the roof top terrace at Emerson on Hurumzi. 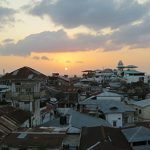 Best roof terrace in Stone Town with 270 degree ocean views accompanied by the towns suggestive call for prayer and sunset. 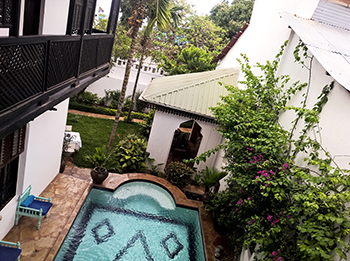 Price from 995 USD per person incl all above in shared double room.